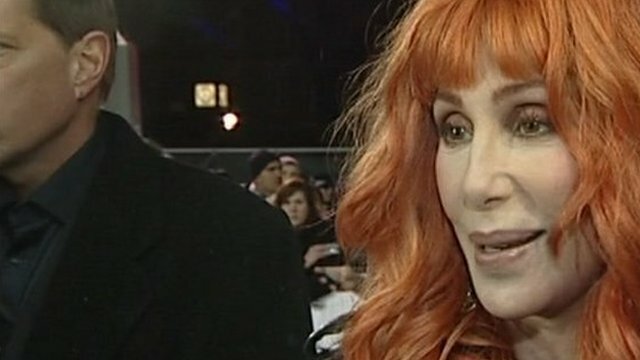 Cher: 'Acting is like riding a bike' Jump to media player Actress and singer Cher has appeared at the premiere of a new film called Burlesque in which she stars alongside Christina Aguilera. Christina on Cher and Christmas Jump to media player Christina Aguilera talks about singing, The X Factor and what she wants for Christmas. Actress and singer Cheri has appeared at the premiere of a new film called Burlesque in which she stars alongside Christina Aguilera. The veteran of showbiz explained what it was like to get back in front of the camera.